NOAA’s first of four highly advanced polar-orbiting satellites, equipped with next-generation technology and designed to improve the accuracy of U.S. weather forecasting of out to seven days, has been launched. The launch of NOAA’s JPSS-1 satellite. Photo is courtesy of United Launch Alliance. NASA launched the Joint Polar Satellite System-1 (JPSS-1) on a United Launch Alliance Delta II rocket from Vandenberg Air Force Base, California, on November 19, 2017. Approximately 63 minutes after launch, the solar arrays on JPSS-1 deployed and the spacecraft was operating on it’s own power. JPSS-1 will be renamed NOAA-20 when final orbit is reached. The satellite will become operational after a three-month checkout and validation of the five advanced instruments payload. 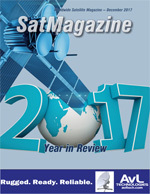 According to Stephen Volz, the Director of NOAA’s Satellite and Information Service, the launch of JPSS-1 underscores the agency’s commitment to providing greater confidence in weather forecasting of up to seven days in advance, including the potential for severe, or impactful weather warnings. The Suomi National Polar-orbiting Partnership satellite is in the same orbit and provide meteorologists with observations of atmospheric temperature and moisture, clouds, sea-surface temperature, ocean color, sea ice cover, volcanic ash, and fire detection. The data will improve weather forecasting, such as predicting a hurricane’s track, and will help agencies involved with post-storm recovery by visualizing storm damage and the geographic extent of power outages. 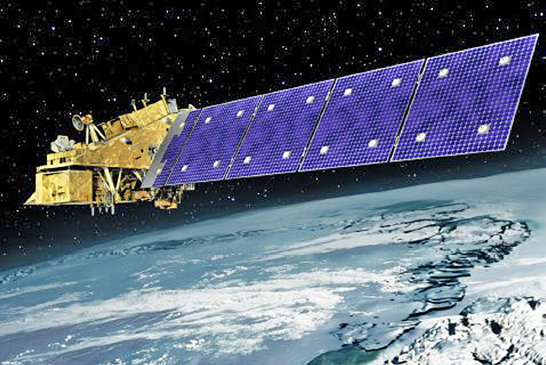 NOAA’s JPSS satellite mission provides critical environmental satellite data to support NOAA’s goal to understand and predict changes in weather, ocean, coasts and climate. JPSS-1 reached polar orbit on Saturday, November 18 and is now officially called NOAA-20, and has sent back the first Advanced Technology Microwave Sounder (ATMS) science data as part of a series of instrument startups and checkouts that will occur before the satellite goes into full operational mode. The NOAA-20 satellite carries five instruments that will improve day-to-day weather forecasting while extending the record of many long-term observations of Earth’s climate. ATMS receives 22 channels of radio waves from 23 to 183 gigahertz. Five water vapor channels, combined with other temperature sounding channels are used to provide the critical global atmospheric temperature and water vapor needed to provide accurate weather forecasts out to seven days. ATMS also maps global precipitation, snow and ice cover. 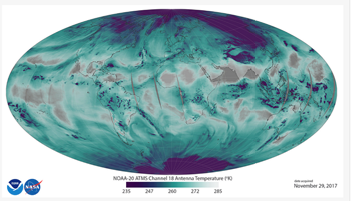 The image below uses ATMS data to depict the location and abundance of water vapor (as associated with antenna temperatures) in the lower atmosphere, from the surface of the Earth to five kilometers altitude. Transparent/grey colors depict areas with less water vapor, while blue-green and purple colors represent abundant water in all phases (vapor, clouds, and precipitation) in low and middle latitudes. In the polar regions, purple depicts surface snow and ice. Water vapor distribution in space and time is a critical measurement for improving global weather forecasts. With detailed vertical information, forecasters can better identify the transport of water vapor associated with jet streams, which can fuel severe weather events. Artistic rendition of the JPSS-1 satellite. Image is courtesy of NOAA. The JPSS Program Science provides oversight of the mission’s scientific integrity and user readiness through stewardship of JPSS user requirements, evaluation of scientific performance of JPSS products, and user engagement to assess the impact of JPSS products on user applications (e.g., weather forecasting, harmful algal bloom alerts), continues to support NOAA’s critical product and services. NOAA funds and manages the program, operations and data products. NASA develops and builds the instruments, spacecraft and ground system and launches the satellites for NOAA. JPSS-1 launch management was provided by NASA’s Launch Services Program based at the agency’s Kennedy Space Center in Florida. The JPSS Senior Project Scientist and the Deputy Senior Project Scientist, who also serves as the JPSS Flight Project Scientist, coordinates pre-launch instrument activities. Each of the JPSS instruments has an instrument Scientist working with the JPSS Flight Project Instrument. The Instrument Scientists coordinates the following activities; requirements review and analysis, test plan review and analysis, independent test data analysis, special test data analysis, and independent verification of critical instrument performance requirements. They are also responsible for additional analyses required by data users not provided by instrument vendors and pre-launch analyses for the acceptance or rejection of performance waivers. The Instrument Scientists coordinate with STAR Sensor Data Records (SDRs) Team Leads for SDR Team analysis support, provides JPSS Ground System with specific JPSS-1 instrument data needed for SDR algorithms pre-launch and post-launch, provides JPSS Mission Ops Team with on-orbit calibration maneuver scheduling and execution details, post-launch instrument calibration support, and post-launch instrument anomaly support. JPSS-1 has five instruments, each of which is significantly upgraded from the instruments on NOAA’s previous polar-orbiting satellites. The more-detailed observations from JPSS will allow forecasters to make more accurate predictions. JPSS-1 data will also improve recognition of climate patterns that influence the weather, such as El Niño and La Niña. JPSS was established in the President’s Fiscal Year 2011 budget request (February 2010) as the civilian successor to the restructured National Polar-orbiting Operational Environmental Satellite System (NPOESS). As the backbone of the global observing system, JPSS polar satellites circle the Earth from pole-to-pole and cross the equator about 14 times daily in the afternoon orbit—providing full global coverage twice a day. JPSS delivers key observations for the Nation’s essential products and services, including forecasting severe weather like hurricanes, tornadoes and blizzards days in advance, and assessing environmental hazards such as droughts, forest fires, poor air quality and harmful coastal waters. Further, JPSS will provide continuity of critical, global Earth observations — including our atmosphere, oceans and land through 2038. In regard to the satellite’s change of name, traditionally, when NOAA’s polar-orbiting satellites were planned, designed and built, NOAA assigned each one with a letter (-A, -B, -C …). Then, when the satellite reached orbit after launch, the satellite was given a number. For example, the polar-orbiting satellite NOAA-H launched on September 24, 1988. When it reached polar orbit, it became known as NOAA-11. The polar-orbiting satellites of the Joint Polar Satellite System (JPSS-1, -2, -3, and -4) are a bit different. Instead of letters, they are designated by numbers during their construction, testing, and launch phases. However, they still become NOAA-20, -21, -22, and -23 when they attain orbit. NOAA-20 takes its historical place in the sky as a next generation satellite with significant imaging capability improvements from its predecessors. According to NOAA documentation, the name change is to maintain consistency in naming conventions that NOAA has followed since 1978 for polar-orbiting satellites. Except for the NOAA-NASA Suomi National Polar-orbiting Partnership satellite (Suomi NPP), which was developed as a joint research mission and therefore not renamed a numbered NOAA satellite when it reached orbit, NOAA’s satellites are typically built in sets or series. Now that JPSS-1 has reached polar orbit, the satellite’s designation has been transitioned to NOAA-20. However, the entire series of satellites, of which JPSS-1 is the first, is still referred to as the JPSS series. The satellite is designed to operate for seven years, with the potential for several more years. Aerojet Rocketdyne, Inc., a subsidiary of Aerojet Rocketdyne Holdings, Inc. helped to propel the ULA Delta II rocket that carried the Ball Aerospace-built JPSS-1 satellite into orbit for NOAA and NASA. 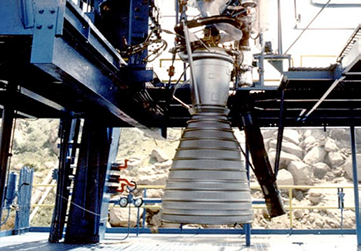 Aerojet Rocketdyne propulsion for the JPSS-1 launch included an RS-27A engine system and an AJ10-118K upper-stage engine. Aerojet Rocketdyne CEO and President Eileen Drake said that the inclusion of the RS-27A and AJ10-118K engines continue Aerojet Rocketdyne’s strong legacy of placing critical satellites into orbit with 100 percent mission success to support climate research, weather and storm prediction for civil, military and international partners. Aerojet Rocketdyne’s role in the launch began during liftoff when the RS-27A engine ignited to provide 237,000 pounds of vacuum-level thrust to launch the Delta II rocket. The RS-27 family of engines has compiled one of the most consistent and successful launch records in the history of rocketry, with 240 launches since 1974. After separation of the first stage, the AJ10-118K upper-stage engine ignited to place the payload into orbit, providing approximately 10,000 pounds of vacuum thrust for orbital insertion. The AJ10 family of engines has provided second-stage propulsion for more than 270 Delta flights, with 100 percent mission success. The RS-27A and AJ10-118K engines have helped place payloads into space aboard the Delta II launch vehicle for the U.S. Air Force, NASA and commercial spacecraft missions, including the Phoenix Mars Lander, Deep Impact, Kepler, NEAR Shoemaker and the Mars Exploration Rovers, Spirit and Opportunity, as well as the U.S. Air Force Global Positioning Block IIR fleet. The JPSS next-generation, polar-orbiting, non-geosynchronous satellites will circle the Earth from pole-to pole and cross the equator about 14 times per day, providing full global coverage twice a day, according to NOAA. U.S. Secretary of Commerce Wilbur Ross said that the value of the new JPSS satellite cannot be understated after this tragic hurricane season. JPSS offers an unparalleled perspective on our planet’s weather, granting NOAA advanced insights which will be used to guard American lives and communities. Rear Admiral Timothy Gallaudet, Ph.D., acting NOAA administrator, added that this year’s hurricane and fire seasons demonstrated just how critical NOAA’s Earth observing satellites are for forecasting extreme weather and hazardous events. JPSS joins the recently launched GOES-16 satellite to provide forecasters unprecedented access to high quality data needed for accurate forecasts, which save lives, protects property and safeguards our economic livelihood. Stephen Volz, Ph.D., director of NOAA’s Satellite and Information Service, noted that building and launching JPSS-1 underscores NOAA’s commitment to putting the most scientifically advanced satellites as possible into orbit, giving our forecasters — and the public — greater confidence in weather forecasts up to seven days in advance, including the potential for severe or dangerous weather. Louis W. Uccellini, the director of NOAA’s National Weather Service, reported that emergency managers increasingly rely on the agency’s forecasts to make critical decisions and take appropriate action before a storm hit. Polar satellite observations not only help to monitor and collect information about current weather systems, but they provide data to feed into the weather forecast models. 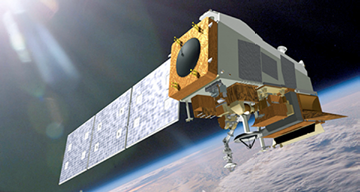 Together, NOAA and NASA JPSS-1 will join the NOAA/NASA Suomi NPP satellite in the same polar orbit, and will also provide scientists with observations of atmospheric temperature and moisture, clouds, sea-surface temperatures, ocean color, sea ice cover, volcanic ash, and fire detection. JPSS-1 image is courtesy of Ball Aerospace. Ball Aerospace designed and built the JPSS-1 spacecraft bus and the Ozone Mapping Profiler Suite instrument, integrating all five of the spacecraft’s instruments, performing satellite-level testing and providing launch support. The JPSS-1 spacecraft bus is based on the company’s flexible and proven Ball Configurable Platform line of spacecraft designed for cost-effective, remote sensing applications. The JPSS-1 spacecraft bus is the 12th spacecraft built on Ball Aerospace’ core architecture, which has more than 50 years of successful on orbit operations. 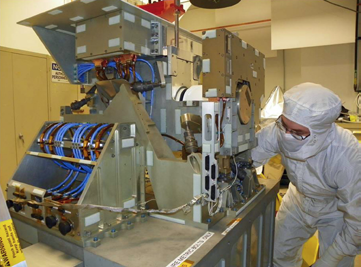 Harris Corporation built the Cross-track Infrared Sounder on JPSS-1, an advanced environmental measurement instrument to improve U.S. weather forecasting. Harris’ Cross-track Infrared Sounder (CrIS), one of the main payloads in NOAA’s polar weather satellite program, will help improve forecasting accuracy by measuring and feeding millions of atmospheric data points into weather forecast models. CrIS is a hyperspectral sounder that takes specific measurements of Earth’s atmosphere in more detail than older instruments. Its 2,211 infrared channels — versus 19 on earlier systems — measures significantly more light, temperature and moisture. CrIS produces three-dimensional atmospheric profiles of the entire Earth and enables meteorologists to extend more accurate forecasts out to seven days. “CrIS measurements help meteorologists create the forecasts that alert emergency managers to the potential for severe weather,” said Eric Webster, vice president, Harris Environmental Solutions. This represents the second Harris CrIS instrument. 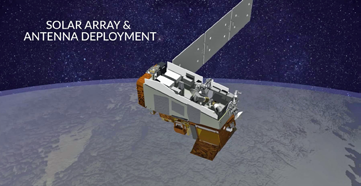 The first is operating on the joint NOAA-NASA Suomi National Polar Partnership satellite and has proven critical to NOAA’s numerical weather prediction models. Harris also built the primary payload for NOAA’s new GOES-16 satellite, which launched in November 2016. It provides 30-second imagery refresh at four times the resolution of the last generation of weather satellites. 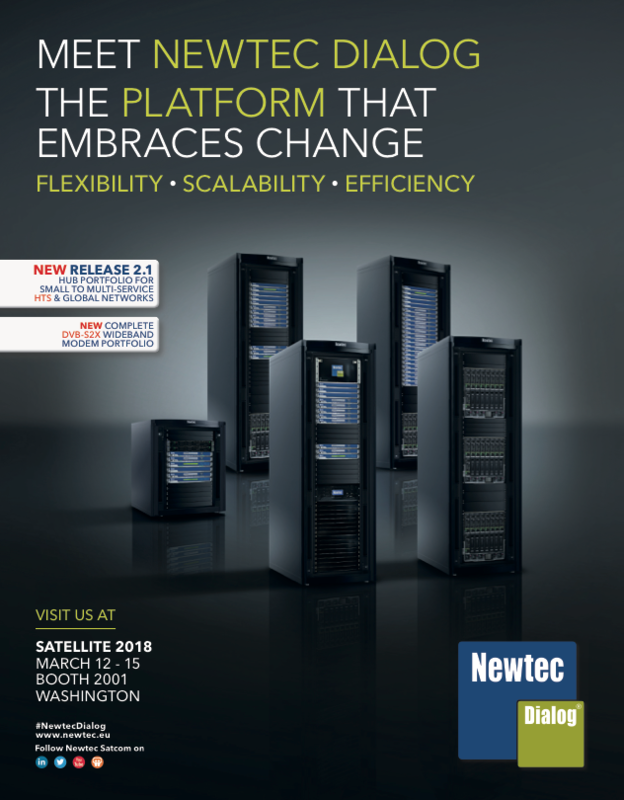 Harris has built more than 75 weather and environmental satellite payloads for U.S. and international customers. Northrop Grumman Aerospace Systems built the Advanced Technology Microwave Sounder and the Clouds and the Earth’s Radiant Energy System instrument. 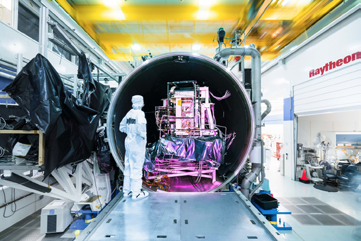 Raytheon Corporation built the Visible Infrared Imaging Radiometer Suite and the Common Ground System, which is the company’s first VIIRS instrument and is also flying aboard the NOAA’s Suomi National Polar-orbiting Partnership (NPP) spacecraft. Because of their “around the Earth” orbit and ability to cover the entire globe every 14 hours, polar satellites give meteorologists early warning of severe weather events that no other instrumentation can accomplish. As part of the U.S.’ polar satellite program, VIIRS represents the latest in a series of progressively capable technologies meteorologists use to increase the precision of their weather forecasting. 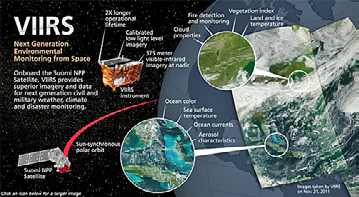 VIIRS replaces and improves upon sensing technology that, in some cases, is 30-years old. In addition to providing highly detailed information on emerging global storm patterns, VIIRS generates high-fidelity sea, land and atmospheric data for a variety of other applied products, including monitoring of wildfires, drought, flooding, vegetation health, algal blooms and nighttime phenomena. By improving meteorologists’ forecasting ability, VIIRS helps improve planning, protect lives and reduce costs associated with major weather events. Additionally, Raytheon is also responsible for the mission-critical JPSS Common Ground System. JPSS CGS, a global system of ground antennas and high-performance computers, provides the satellite’s mission planning and command and control in space. Recently upgraded, the JPSS CGS 2.0 delivers observations to NOAA’s National Weather Service almost 50 percent faster than before. Matt Gilligan, the VP of Raytheon’s Navigation and Environmental Solutions, reported that thousands of decisions depend on accurate weather forecasting and environmental monitoring. Raytheon’s latest generation Common Ground System has been fully operational since August and it’s ready to support the new JPSS-1’s mission as part of the growing polar satellite constellation. Orbital ATK contributed to the successful launch of a United Launch Alliance Delta II rocket as the rocket carried the first Joint Polar Satellite System (JPSS-1) spacecraft. Orbital ATK’s contributions to the Delta II included nine Graphite Epoxy Motors (GEM 40) and a large composite fairing for the rocket. This event marks the penultimate launch of the Delta II rocket and this was also the last launch to use nine GEM 40 motors. Charlie Precourt, Vice President and General Manager of Orbital ATK’s Propulsion Systems Division, noted that as the Delta II program nears retirement, more than 1,020 GEM 40 strap-on boosters have helped launch 153 Delta II missions. The company would be nostalgic if not for the significant progress the firm is already making on the new generation GEM 63 motor that will support Atlas V and future launch vehicles. 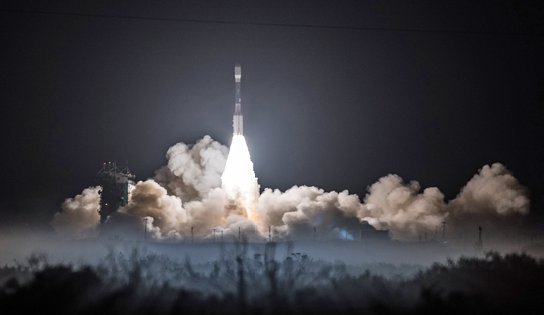 The nine GEM 40 motors used in the launch, which is the maximum number for the Delta II design, provided an additional 1.3 million pounds of maximum thrust to boost ULA’s Delta II launch vehicle on this successful mission. Orbital ATK manufactured the motors’ composite cases in Clearfield, Utah, and the motors themselves in Magna, Utah. In addition to the GEM 40 motors, Orbital ATK manufactured the composite 10-foot diameter payload fairing, which encapsulated and protected the payload at the company’s facility in Iuka, Mississippi. Orbital ATK also designed and built the launch vehicle’s second stage helium and nitrogen pressurization bottles at their facility in Commerce, California. For the JPSS-1 spacecraft, Orbital ATK also manufactured the diaphragm propellant tank also at their Commerce facility. The company also designed and produced heat pipes for two instruments aboard the satellite at the firm’s facilities in Beltsville, Maryland. 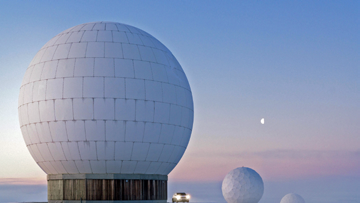 The Svalbard ground station — photo is courtesy of Raytheon/Reuben Wu. In related activity, Orbital ATK has made significant progress on the National Oceanic and Atmospheric Administration (NOAA) Joint Polar Satellite System (JPSS) spacecraft program. 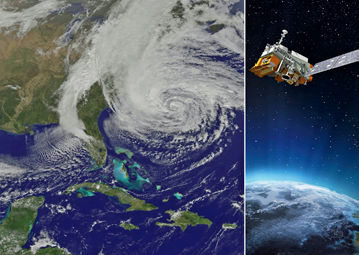 The JPSS-2 spacecraft will host instruments that provide essential operational space-based weather observations for NOAA, extending the successful 50-year NOAA/NASA partnership into the next two decades. Representatives from NASA, NOAA and Orbital ATK recently completed a successful spacecraft Critical Design Review (CDR) for JPSS-2, which demonstrated that the program met all system and schedule requirements. Also evaluated was Orbital ATK’s responsibility for integrating five government-furnished instruments, and supporting the launch, early operations, and on orbit satellite check-out prior to handing operations over to NOAA. The contract with NASA was awarded to Orbital ATK for the delivery of JPSS-2 and includes options for two additional satellites, JPSS-3 and JPSS-4. Artistic rendition of the JPSS-2 satellite. Image is courtesy of Orbital ATK. 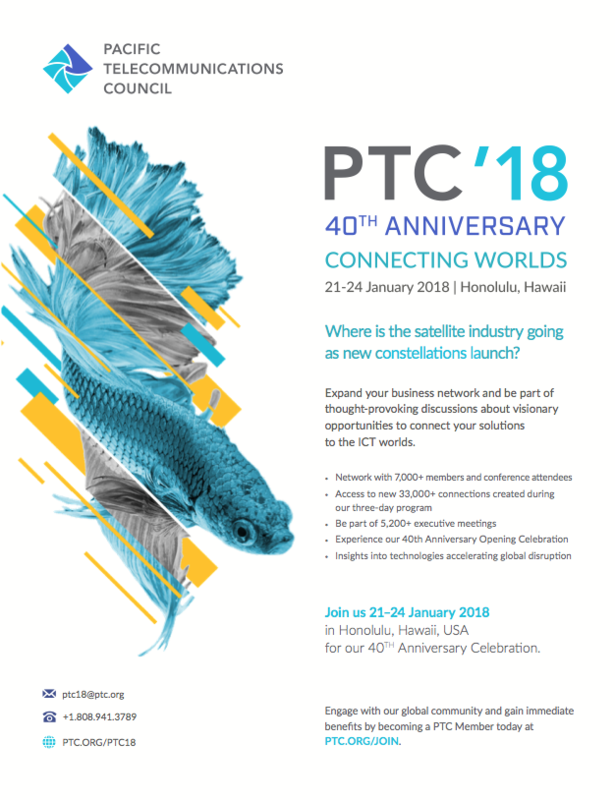 The company is responsible for the design, manufacturing and testing of the JPSS-2 satellite which is scheduled to be completed in 2020 at the company’s satellite manufacturing facility in Gilbert, Arizona. While Orbital ATK has manufactured a wide variety of Earth science, commercial imaging and defense satellites, JPSS-2 will be the first operational weather spacecraft produced by the company. The spacecraft is based on Orbital ATK’s LEOStar-3 bus, a flight-proven flexible satellite platform that can accommodate a variety of missions, including Landsat-9 and ICESat-2, both currently in production by the company. Built to support long-life missions, this modular design incorporates improvements and upgrades from Orbital ATK’s prior bus developments that resulted in numerous highly successful missions. The JPSS-2 satellite will join a constellation of satellites, including the joint NOAA-NASA Suomi National Polar-orbiting Partnership (Suomi NPP) and NOAA’s JPSS-1, which gather global measurements of atmospheric, terrestrial and oceanic conditions. During the required seven-year design life, JPSS-2 will deliver observations essential for accurate forecasting up to seven days ahead of severe weather like hurricanes, tornadoes and blizzards. The data collected will also be used to assess environmental hazards such as sea ice, floods, volcanic ash, wild fires and poor air quality. The result is timely and accurate public forecasts that reduce the potential loss of life and property and minimize economic impact around the world. Steve Krein, VP of Science and Environmental Programs at Orbital ATK, stated that the successful conclusion of the JPSS-2 Spacecraft CDR marks a key milestone for the program and keeps the JPSS-2 spacecraft on track for an on-time delivery. While building a space-based weather observation satellite is a new mission area for them, it will be manufactured on a flight proven platform that demonstrates the success of Orbital ATK’s current science and environmental satellites that already provide critical data to customers.